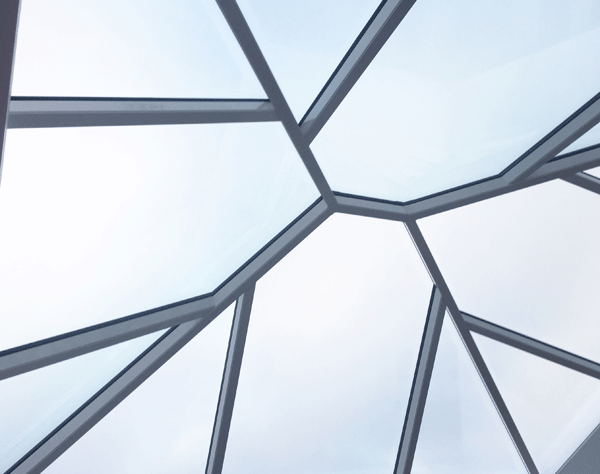 The slimline EDGEsky roof lantern has all the advantages of a thermally broken aluminium construction. This allows for wide design flexibility and it provides a clean, contemporary, modern finish. Precision engineering, optimisation and modern manufacturing techniques have created a beautifully proportioned, thermally efficient, strong and secure lantern solution for your home. 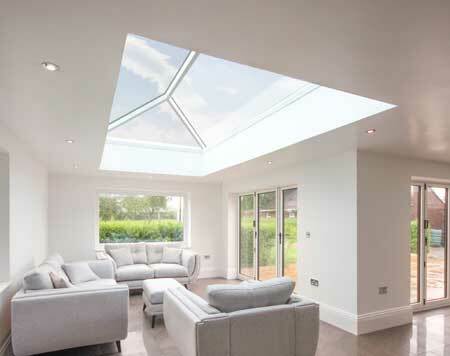 Why choose the EDGEsky roof lantern? The EDGEsky aluminium roof lantern has been designed to offer the ultimate addition to your flat roof extension. The slim sightlines give the lantern super sleek looks and let the maximum amount of daylight into your home. Every component has been carefully engineered to reduce installation time and increase strength and thermal performance. COLOURS: The EDGEsky aluminium roof lanterns are avilable in 3 standard colours inside and out: RAL7016m Matt Anthracite Grey | RAL9005m Matt Black | RAL9010g White Gloss You can choose any combination of these colours inside and out. Alternatively, we can powdercoat the bars to any standard RAL or BS colour of your choice. DESIGN: The EDGEsky aluminium roof lanterns can be designed with minimal rafters for maximum light and a contemporary, minimalist look. Lanterns up to 3 x 2m can be supplied with only 1 piece of glass per side! The lanterns work equally well in traditional builds, additional rafters can be specified and the aluminium box section rafters perfectly imitate the look of a traditional timber lantern. We can also supply the lanterns in a square/gazebo configuration. 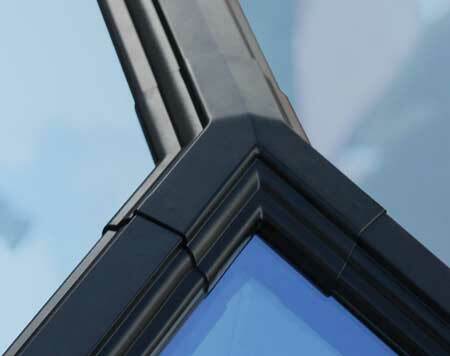 HOW TO ORDER: You can either browse our range of standard sized contemporary roof lanterns, or for traditional designs, or if you have a bespoke size or design, please download the quotation enquiry form and email it to sales@edgebp.co.uk, we will endavour to reply with 1 business day with a quotation. If you are unsure how to measure your roof lantern, download our handy surveying guide below. The EDGEsky Roof Lantern is made to order and can be made to exactly fit the external size of your weathered upstand.